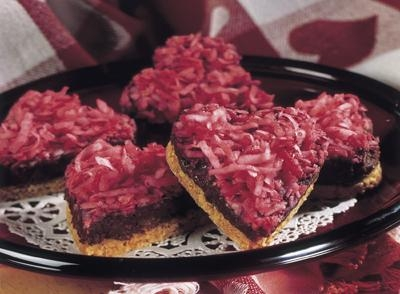 I love, love, LOVE Valentine's Day! I am really a cheesy person by nature, so I really get big into cheesy holidays, and holidays where you get to give gifts "just because". I really love giving gifts to my babies. They are only 3 and 7, so they haven't come to "expect" a gift yet, and they are always really surprised when they get one! This year, Hershey's sent us some awesome Valentine's Day treats to try out, and we loved them all! Last week, when the boys went out to play in the (neverending) snow, I got out all of the candy treats and surprised them when they came back inside! I got some really adorable pictures of them, but now, my lovely camera that I spent my life savings on will not turn on. :( I have tried everything to get it to work, and it is just plain dead. (On the plus side, looks like I know what hubby's getting me for my birthday!) Anyhow, for this post, I will have to use other photos, and hopefully my handy dandy techy hubs can get my camera up and working soon! I really had no idea that Hershey's had so many great Valentine's treats these days! I need to get with the times LOL! Of course, I know all about Hershey's Pot Of Gold chocolate boxes, since those are my favorites of all time, but I had no idea that they had so much good stuff on the market now! The first product that we tried turned out to be my very favorite! 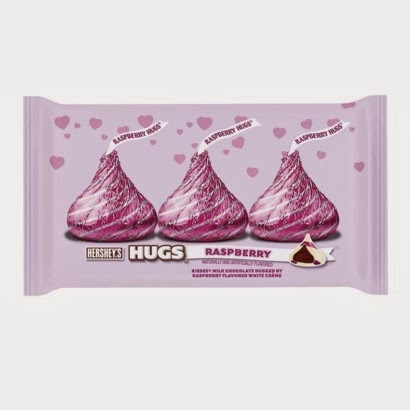 I have always loved Hershey's HUGS ever since I was a little girl, but these new Raspberry flavored ones just took the cake! I mean, come on, what's not to love? White chocolate and raspberry flavor outside, and yummy Hershey's milk chocolate inside! LOVE IT! I am ashamed to say that these adorable little babies didn't make it to anyone except mom, and are hiding in a Santa Claus coffee mug up in the cabinet for THOSE days.. You guys know THOSE days, right?? The second product we tried turned out to be the favorite of all three of my boys, dad included! 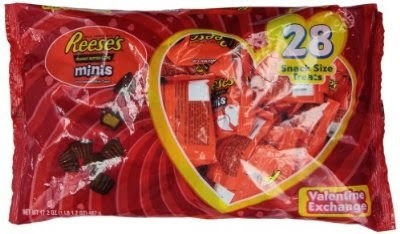 They are all super big suckers for Reese's Peanut Butter Cups, so when Hershey's sent us a huge package of Hershey's Valentines Peanut Butter Heart Exchange (28 packs in all! ), they were definitely ready to make my guys happy! These were delicious, and definitely made my boys fall in love! I have hidden them up in the cabinet too, for a reward on extra special days! I was also the lucky recipient of a Hershey's Solid Chocolate Heart, which was SUPER yummy! There just isn't anything that can beat classic Hershey's solid milk chocolate, in my book anyways! The boys were also thrilled to receive a big bag of Jolly Rancher Sours Gummy Hearts, just in time for Valentine's Day! We love Jolly Ranchers and sour candy, so this combo was a win for our house! They really do taste just like the old school hard Jolly Rancher candy that you remember! So yummy! If you are looking for a great (and affordable!) treat for your Valentine this year, look no further than your friends at Hershey's! 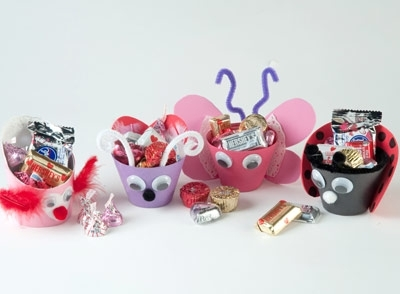 The Hershey's Valentine's Day Collection has something for everyone and especially something for us moms! Don't forget to check out the Celebrate With Hershey's website so you can find great recipes and crafts that you can create for every single holiday! Need some inspirations? Look no further! Thanks again to our friends at Hershey's for inspiring us and giving us the chance to try out some really great products!